Firexpress has two standard tank units with respectively 300 litre and 600 litre water tanks. The units have an integrated pump driven unit (PDU). The tank units are designed to be placed on the bed of a pick-up or inside other types of vehicles, hereby turning ordinary vehicles into fire fighting vehicles, for a much more cost effective and flexible solution. They can also be placed at a stationary location inside a building. With a metal pallet mounted underneath the water tank, the unit can easily be moved around by a fork lift to reach any point e.g. inside a factory, warehouse, workshop or other facility. The pump driven unit has a self-priming membrane pump that pressurizes the water up to a working pressure of up to 40 bar. The pump is driven by a petrol or diesel engine, a 220 or 380 volt electric motor or a hydraulic pump. The flow of the pump driven unit is 30 litres of micro-drops per minute or 150 litres of aspirated foam per minute at a range of 15 metres for micro-drops and 18 metres for a jet of foam. The pump driven unit has an integrated foam delivery system, that mixes the foam into the water just before the pump. The foam percentage can be adjusted by the user by inserting an orifice giving the desired foam percentage between 1 and 6%. The water tank is made of powder coated aluminium, and has internal baffle plates to increase stability during transport. A suction system for suction of water from external water sources such as rivers, lakes, the sea, swimming pools or other water sources can be installed. The system can be used simultaneous with using the fire fighting system or to fill the water tank. The suction rate is 38 litres per minute. Various quick fire hose connectors like Storz, BS 336 and others can be mounted on the water tank for fast filling. 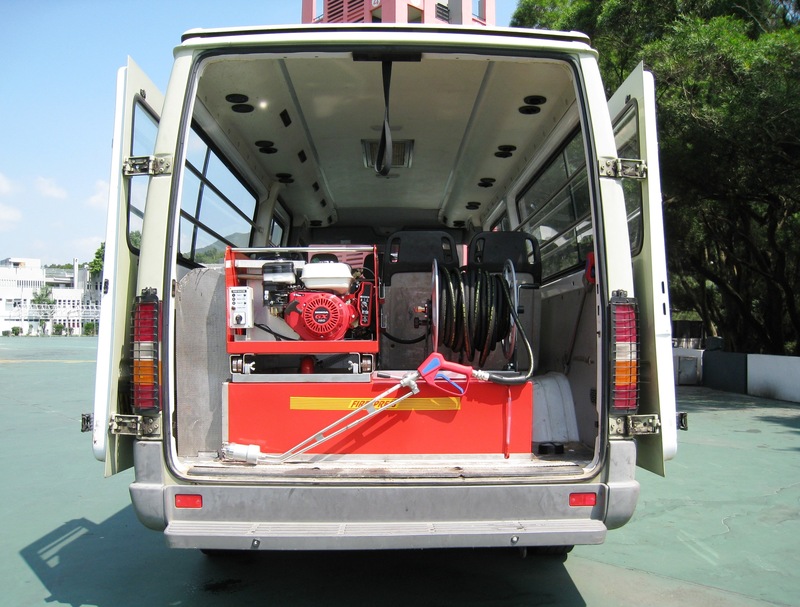 A 300 litre tank unit mounted inside a vehicle of the Country and Marine Park Authority of Hong Kong. 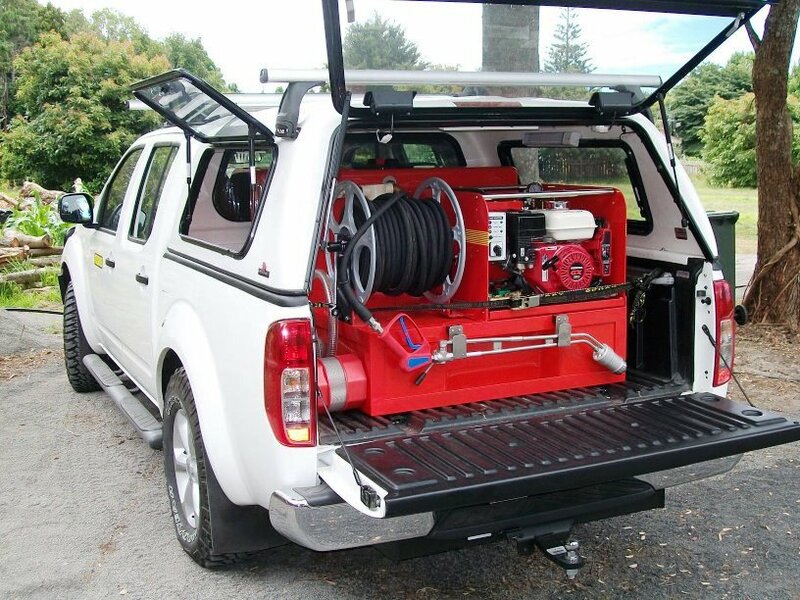 A 600 litre tank unit installed inside a pick-up of Athenree Volunteer Fire Brigade, New Zealand.